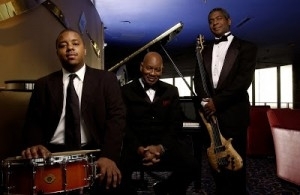 Enjoy the smooth sounds of the Mose Davis Trio every Wednesday and Thursday evening from 7 p.m. - 11 p.m. The jazz trio is comprised of classically trained musicians Mose Davis (keyboard), Gary Wilkins (base) and Marcus Williams (drums). Mose Davis, a former member of The Counts, has performed nationwide for more than 30 years.